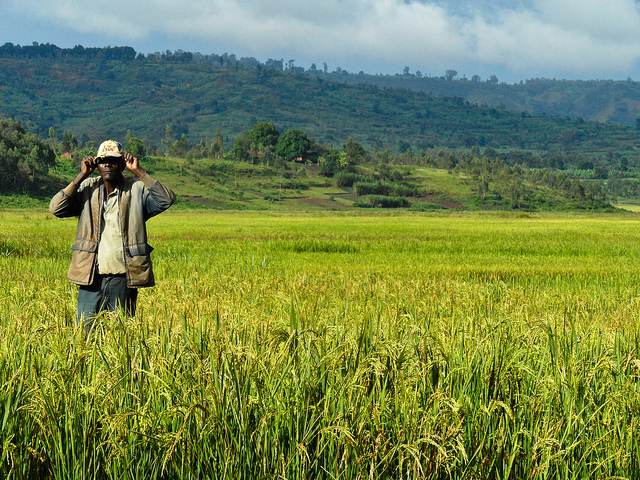 A farmer stands amidst a rice farm in Burundi, Africa. Photo taken from International Rice Research Institute’s flickr photostream used under a creative commons license. The International Finance Corporation released its 2014 annual report, in which they inform that they have provided a record amount of financing for the world’s poorest countries last year: $8.5 billion. These funds served to support more than 300 projects in Sub-Saharan Africa, Latin America, South Asia, and Europe. Sierra Leone began a three day lockdown to enable health workers to find and isolate cases of Ebola. A team of almost 30,000 people is going from house to house to detect possible cases of Ebola and to distribute soap.